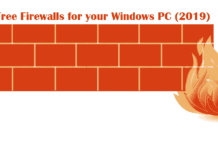 Find out everything related to Firewalls in this category. You will learn about different Firewalls including software-based and hardware-based. There will also be tutorials on how to use and configure them for multiple purposes.